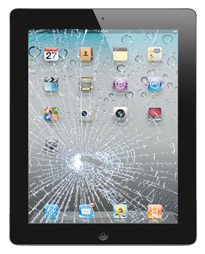 We are experts in handling iPhone, iPod, or iPad maintenance including LCD replacement and battery upgrades. We offer same-day turn around for glass replacement on the latest iPhone models including the iPhone X and iPhone 8 as well for older models (4, 4s, 5, 5c, 5s, 6, 6s, 6+, 6s+, 7, and 7+) if the device is dropped off before noon. Please call for current pricing on your screen replacement and availability. This includes damaged hardware such as lcd's, power supplies, batteries, and motherboards as well as software issues such as viruses and memory problems. We will diagnose your problem for free so you can understand what needs to be done before you pay a dime. All of our repairs come with a 180-day parts and labor warranty. If a part we replace fails within that time frame we will, with no questions asked, replace the part free of charge (not including obvious abuse). We offer free pickup and dropoff service for anyone within 10 miles of our office. For long-distance clients we offer a mail-in service. We recommend you use The UPS Store for shipping as they have all the proper packaging materials to make sure your goods arrive intact. Please insure your laptop for full replacement value. We will return your equipment via the same service at no cost to you. We will notify you upon receipt of your equipment and will give you a repair cost and time estimate within twenty-four hours. Typical repairs are done within 24 hours however this may depend on part availability.